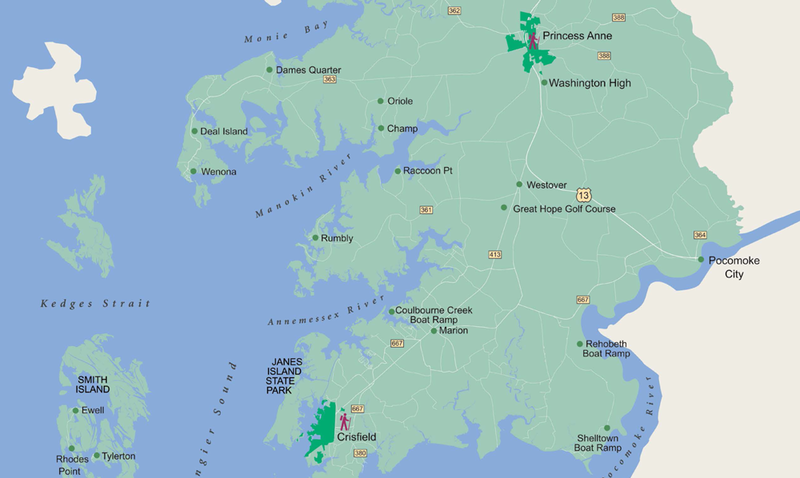 Download our Crisfield & Princess Anne Town Loop PDF File. Crisfield – Dual Highway “The Strip” Maryland and Richardson Ave. Begin at City Dock and Loop Around, see the shops and sights on your way. Princess Anne – Start at Teakle Mansion, walk to Courthouse, across Somerset Ave to Library, turn left & continue down to Hyche Blvd., turn left to UMES & turn around at entrance to UMES, walk back through town center past fire dept., and to Teakle Mansion.